attendance to personally guide you through her art works. Suzanne Parisien Frank studied human anatomy in depth and began making fine figurines from porcelain, white clay and terra cotta. This presentation features clay sculptures in the world of oceanographic, including fighting fish, turtles, mermaids, crabs, octopus, masks and more. No two handmade sculptures are alike! 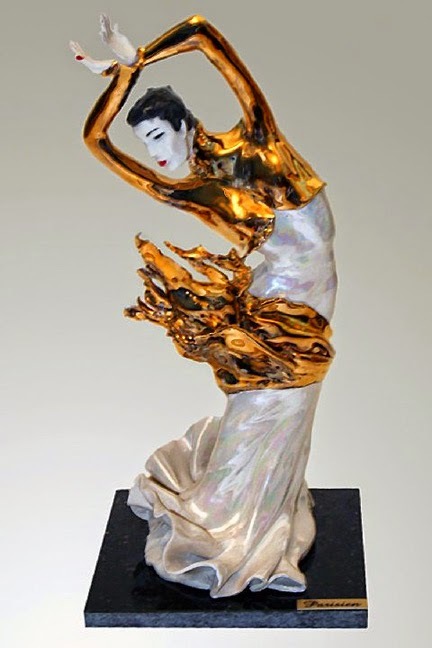 An array of her art work can be viewed on-line at www.parisiensculptures.com. For more information, please contact Karen at (321) 433-5717.